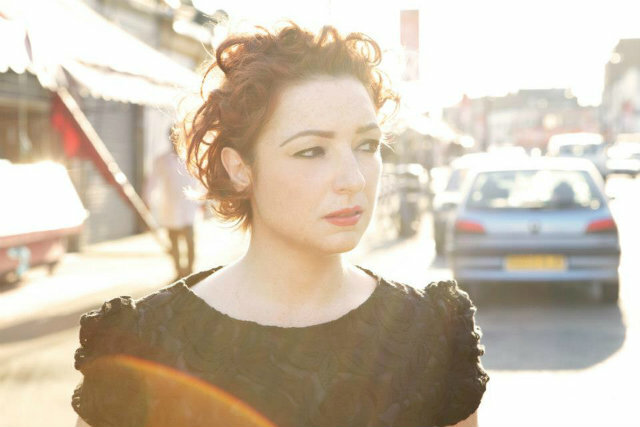 A year after “In The Beginning”, her collaboration with Disco Damage, became one of the highlights of Volume 1 of the dance/EDM compilation This Beat Is…Poptronik!, London-based, Ireland-born electropop singer Maighréad is back with “Sooner”. No matter the remix or radio edit version, “Sooner” works because of Maighréad’s striking voice. The song takes some of the best qualities of Annie Lennox, as well as fellow Irish singers Sinéad O’Connor and Róisín Murphy – power, resonance, grace – and Maighréad owns them all the way through “Sooner”, creating dancefloor bliss in the process. Hear the Extended and Fik & Hurr remix below, and pick up “Sooner” on iTunes. BILLCS Chart #386 – August 27/12 – Be Kind, Push Rewind! 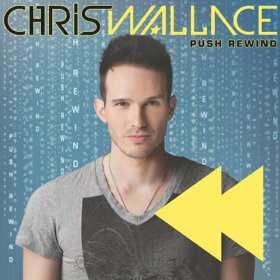 The top of my personal chart is tighter than ever, as DATABOY’s “Dreams Are Gold” gives way ever so slightly to “Remember When (Push Rewind)” by Indiana-born Chris Wallace, which advances to #1 just before the release date of his album Push Rewind (album cover art above, reprise of the video below). There’s a lot of the Top 10 that stays the same – with good reason, the songs on this chart are especially strong – but in the midst there is some notable movement. Kyle Patrick has been to Singapore, the Philippines, and Malaysia these past few weeks. The house that The Click Five built over there is significant, and Kyle’s “Go For Gold” is making great strides on their charts. From his self-titled EP, “Gold” is definitely winning, and climbs to #6 on the chart. Down further there are two new entries to the Top 10. 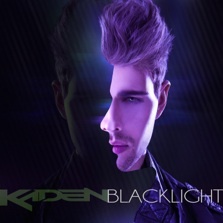 The spry Green Children remix of Foster The People’s “Houdini” works its magic at #9, while fastest riser “Spectrum” by Zedd featuring Matthew Koma is headed for the upper reaches, advancing 21-10. 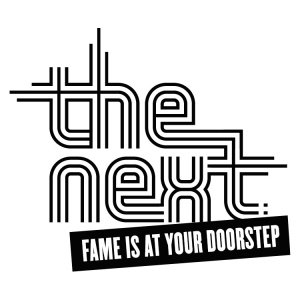 Mark Thursday, August 30 on your calendar to watch the New York episode of The CW network’s new show “The Next”. The supremely talented Baiyu is one of four contestants – and her competition had better be on their game! Best of luck to Baiyu 🙂 Her song “Hunter” climbs to #11 on my chart. Her coach on the show is none other than Nelly. Several other upwardly mobile songs continue towards the Top 10. “We Dance 4 Reason” by Latvian dancer, model, DJ/producer, and singer, Poptronik performer Markus Riva vaults 20-14, followed directly by the long-lasting “When She Was Mine” by Lawson at #15. 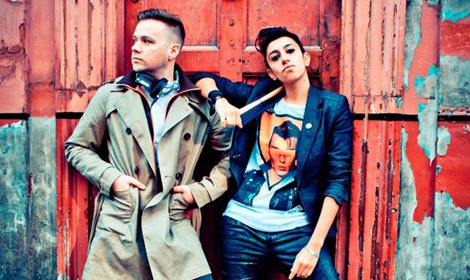 Watch their video for the UK Top 5 hit “Taking Over Me” below. The third chart entry for DATABOY, the splendiforous “Genius”, jumps to #16, with “Long Time” by Sweden’s John De Sohn and singer/songwriter Andreas Moe (also still residing at #7 with “Collecting Sunlight” himself) rising to #17. The feel good vibe of L.A.’s Saint Motel continues at #22 with the swinging “Benny Goodman”, while “Emergency” by Audio Playground with Snoop Dogg is up to #24. All of our new entries are by performers who have already visited the chart, some more recently than others. We’ll start with a couple of doubles, please. The highest new entry at #20 is the instantaneously ear-pleasing pop of Ellie Goulding with her first single from the upcoming Halcyon album (artwork above) with “Anything Could Happen”. While “Lights” took its sweet time getting to the upper reaches of the international charts, the response to “Anything” should be swifter. Ellie’s free download cover of The Weeknd’s “High For This” continues to climb at #19. Then we have the good natured dance floor fun brought to us by Portugal’s Carlos Nóbrega, whose latest song “Music Makes You Lose Control” (#23) will be sure to inspire much dancing at those upcoming Hallowe’en parties. The anthemic “Turn It Up” is lifted to #12 as well. AND DON’T FORGET: A year in the making, the Poptronik festival in Sitges, Spain will be a dream come true for electronica fans on September 1 and 2. Needless to say I’m jealous of all those who can party on the beach to some great performers, including Andy Bell of Erasure, Markus Riva, Adam Tyler, SIRPAUL, Garcon Garcon, and many more. Best of luck to all involved! 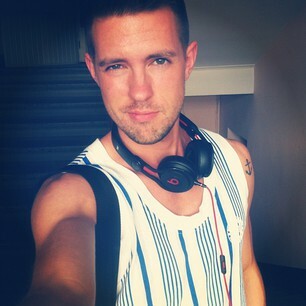 Summer looks to be very hot ahead – and I’m only talking about the music! Don’t forget that Make Me Believe in Hope by Bright Light Bright Light drops in the USA on Tuesday. And be sure to check out two new full length releases below, plus two new singles, and a video! Last year, Baiyu’s warm and subdued video for “Together” was my introduction to this talented New Yorker with an impressive set of pipes. Then came the quirky and fun “Take A Number”, which showed another side of her. I’ve already written about her tantalizing video for “Invisible” (featuring duet partner Rotimi), which has led us to Hunter, her latest free download full length mixtape. Hunter is stellar work all around. Baiyu has diversified even more within and you can feel the heart and soul that went into this record. I’ve already compared her voice to Keri Hilson and more particularly Beyoncé because of her power and range. She does marvellously in songs like “Laws of Attraction”, “Lost and Found”, and “Another Lifetime”, very reminiscent sometimes of Toni Braxton as well. There’s blood on the dance floor waiting in the wings if more startlingly good club songs like the title track are in store for us! It’s my very favourite on Hunter, with a close runner up being her duet “Make Believe”, featuring an equally stunning vocalist, Paul Kim – I want to know more about him 🙂 There are actually four duets with male singers within. Often singers can get left in the dust by their partners, but thanks to Baiyu’s prowess and her production team’s fine work, the showcase is hers. Hunter awaits for you to add Baiyu to your summer playlist. It certainly surpassed my expectations, and we will be hearing much, much more from Baiyu. Download Hunter right here and listen to the powerful title song below. 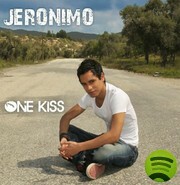 I’ve finally got to hear the full album release One Kiss by Jeronimo, which confirms that the insanely infectious title song with an undetermined Latin backdrop (currently #2 on my chart) and previous single, the heartwrenching ballad “Somebody Who Loves Me”, are no flukes. This young Dutchman (via Brazil) with the unique voice could definitely find his place in the international music scene – if this record can be released outside of Europe. The album is full of jaunty pop/dance songs as well as ballads for Jeronimo’s swoonworthy crowd. His playful charm comes off best in “Sacrifice”, “Renaissance Man”, “All I Want Is You To Love Me”, and the genuine spark of “Unheard”, which could be a follow up single. Look to “Firefly”, “Someone New”, and “Hey Hey” for some effective balladry. I would only ask in future that his production team stop messing with our boy’s fine voice by adding technology to alter it, making it stand out in the wrong ways. Three performers from This Beat Is Poptronik Volume 1 have new songs out for you to hear that are equally as engaging as the ones on the summer’s killer dance compilation which is the soundtrack for the essential electronica beach dance party in Sitges, Spain on September 1 and 2. The Latvian singer’s “How It Feels To Be A Man” is newly perched in the Top 10 of my chart, and he’s upped the ante a bit with this fun and explosive dance song, whose video shows off some snappy choreography. Markus is in fine voice and the song will definitely help get your groove on. Buy it on iTunes. Watch below. 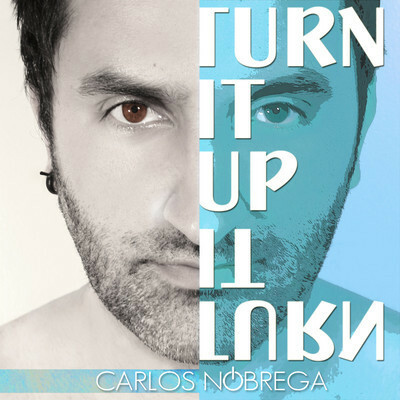 The energy level in “Turn It Up” (co-written by Carlos) must stem from the Portuguese star’s enthusiasm that transforms what initially starts out to be a pretty formulaic dance song into a fiery and urgent dance floor anthem that has grown on me a great deal since I first heard it. Carlos’ voice soars to new heights mid-way which keeps the song on a real high. You can buy “Turn It Up” on iTunes, with an album to follow in the Fall. Listen to the song below. It’s the successor to “Pitiful”, which also shows the many sides of Carlos through an acoustic version which you can hear below. I’m so glad some music videos incorporate comedy and lightheartedness because they are often remembered more for that then those that are deathly serious. And so we have “It’s Like That” by Killian Wells, who previously brought us the bouncy and intense “Psycho”. Stick with this one all the way through for some amusing set pieces and fun interplay between Killian and featured artist Nixon. Recent similar reference points might be “Burnin’ Up” by It Boys and “No I.D.” by FrankMusik featuring Colette Carr. Enjoy below! While I’ve already posted acoustic performances of talented Andreas which showcase the man and his music, the official video of his single currently in the Top 20 on my chart (and on official release internationally this week) is a delightful animated clip that might be a bit literal but gets across a fine message. Watch below. While his gal Quigley’s “Inkblot Game” continues to climb up to #16 on this chart, FrankMusik (under his Vincent Did It alias) pairs up with his lovely on “Notice Me”. This song is a grower, thanks to Vince’s artistic production and Quigley’s exuberant vocals, and moves up to #4. Listen to this one below. Also entering the Top 5 is “Only The Horses” by Scissor Sisters, currently touring their Magic Hour album. I’m thinking about checking out their concert next week, so if you’ve seen them let me know what you think to help make my decision 🙂 Watch their performance of “Only The Horses” from The Voice UK at the top of this post. There are more Poptronik performers to be had within the Top 10, with Adam Tyler’s “Music Freak” rising to #6, and “How It Feels To Be A Man”, a quiet kind of anthem of sorts by Latvian singer Markus Riva, moves up to #9. The trifecta of Foster The People’s Mark Foster, DJ A-Trak, and New Zealand’s Kimbra, currently on release with her own album Vows, rounds out the songs on the rise within the Top 10 with the free download of “Warrior”. I won’t leave the Top 10 without remarking on a very high debut. That of course comes from Texas duo DATABOY, whose “Dreams Are Gold” is my new summer jam and crashes the chart at #8. Read all about it right here. The second highest debut on the chart, at #21, also belongs to these lads, from their free download Summer Now EP. “Lotion” will transport you to a beautiful beach somewhere warm enough where DATABOY won’t let you get sunburned 🙂 Listen to both songs below. You can view the full chart using the link under ***BILL’S PERSONAL CHART*** to the right, or you can click right here. You can hear all of the songs on the chart or watch their videos by clicking on the pics on the chart page. Any free downloads that are identified are sanctioned by the performer. There are five other fast risers on the chart. “All Our Love” by Gentlemen Hall jumps 19-14, while the fastest riser, “Secret Fear” by Daniel Bedingfield is right behind, climbing 22-15. Moving up four places each are “Collecting Sunlight” by Andreas Moe at #19 (official single is out June 26 – watch him perform an acoustic version below), River Tiber’s jazzy “These Are Centuries” at #20, and Poptronik performer Monti Montañez with “Turn Up The Radio” at #22. There are two other debuts which complete this week’s blog post. RAC stands for Remix Artist Collective, three producer/DJ’s who create their own music and remix that of others, and you can find out more about them at http://www.rac.fm. Penguin Prison has joined up with them for the free download of “Hollywood” which bows at #23. Listen below. Lastly but hardly least, when Darren Hayes picks a song recorded by someone else to sing, it’s usually a wise choice. I’ve actually owned the vinyl single of “Talk Talk Talk” since last Fall, and I’ve decided to chart his vibrant and faithful cover of Madonna’s “Angel”, the 45’s B-side, after continual play on my iTouch. “Angel”, at #28, accompanies “Stupid Mistake”, which moves up to #11. Listen below – and why shouldn’t pop radio play it?? The song would fit like a glove. When I first heard about the launch of This Beat Is Poptronik and its accompanying concert to be held in among the beautiful beaches of Sitges, Spain, on September 1 and 2, I was very impressed at the idea of such an ambitious project. But upon learning the lineup on the Poptronik record, I couldn’t help but think how well it has set the stage for the concert to happen (the Poptronik concert headliner is none other than “Toy Soldiers” singer and comeback queen Martika!). And after being afforded the opportunity to listen to the record in advance, the great folks behind Poptronik have done something so overdue: They have reinvented the dance compilation with style. This Beat Is Poptronik Volume One not only contains six songs with which I was already well acquainted, it contains several others that should have no trouble finding favour in dance clubs worldwide. 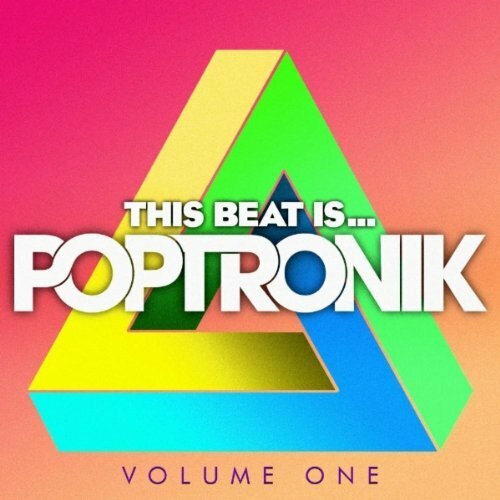 This Beat Is Poptronik Volume One is a must-have compilation of 32 songs that will get your groove on, and more, for the next several months! And it’s great to be excited about contemporary dance music. “Flesh” by Simon Curtis – an intense and sexually charged June 2011 release from the L.A.-based singer’s independent sophomore unique R∆ album, the song spent 2 months at the top of my chart, following other #1’s like 2010’s “Beat Drop”, “Delusional”, and “8bit Heart”. Simon’s most recent release is the free download of the ballad “Starlight”, produced by Frankmusik. A live performance of “8bit Heart” and “Flesh” from Simon’s London show put on by the EQ Music Blog is below. “Disco Moment” by Bright Light Bright Light – a glorious August 2011 release from the upcoming debut album via The Blue Team/Aztec, Make Me Believe In Hope. BLx2 aka Wales native Rod Thomas got to #3 on my chart with “Disco Moment”, following 2010 #1’s “A New Word To Say” and “Love Part II”. Its impressive video is below. 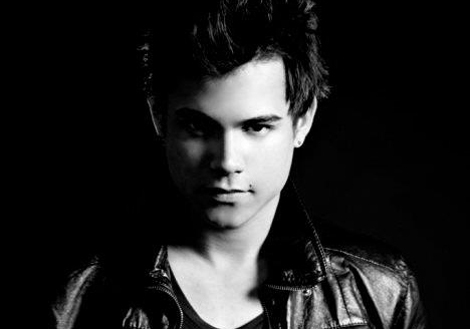 “Like A Drug” by Adam Tyler – a smouldering late 2011 release from L.A.-based Adam’s wonderful debut independent album Shattered Ice. A Top Tenner on my chart, following previous Top 5 songs like “Friction” and “I Won’t Let You Go”, the song is complimented by an intriguing video (below) and a recent EP of remixes. “Stupid” by Databoy – a fun, smart early 2011 digital single from the Texas duo which went Top 5 on my chart, and was followed by two #1’s, “Just Once” and “Memorize Me”. 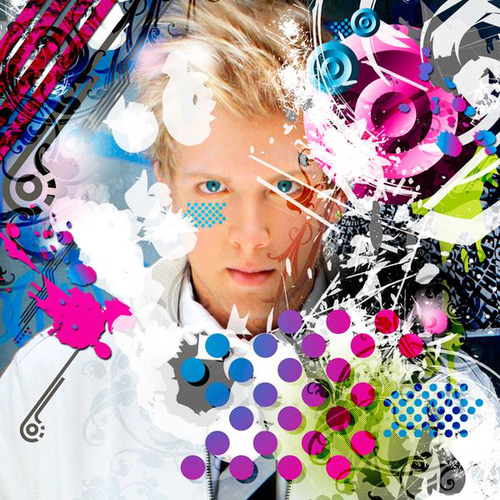 “Head Over Heels” by Bim – a heartbreaking electro ballad from mid-2010 and the UK duo’s debut digital album Scatterheart, which got to the Top 5 on my chart. Their latest release is the infectious “Scream”. “We Don’t Miss A Beat” by Van Go Lion – a bouncy dancefloor filler from the Portland, Oregon duo which became a Top 15 hit on my chart. These six songs may be reason enough to purchase the album, but in fact there are many top notch songs within that I didn’t know. The variety of song styles capture the essence of electronic dance music of the last three decades. My raving could continue on, but suffice it to say that Aztec Records and the Poptronik organizers have created a template for the ’10’s dance compilations, and I wish them great success with their vision. I simply can’t wait till Volume Two! This Beat Is Poptronik Volume One is one of the best albums of the year. Get all of the details about it and the Poptronik festival at http://www.poptronik.com. 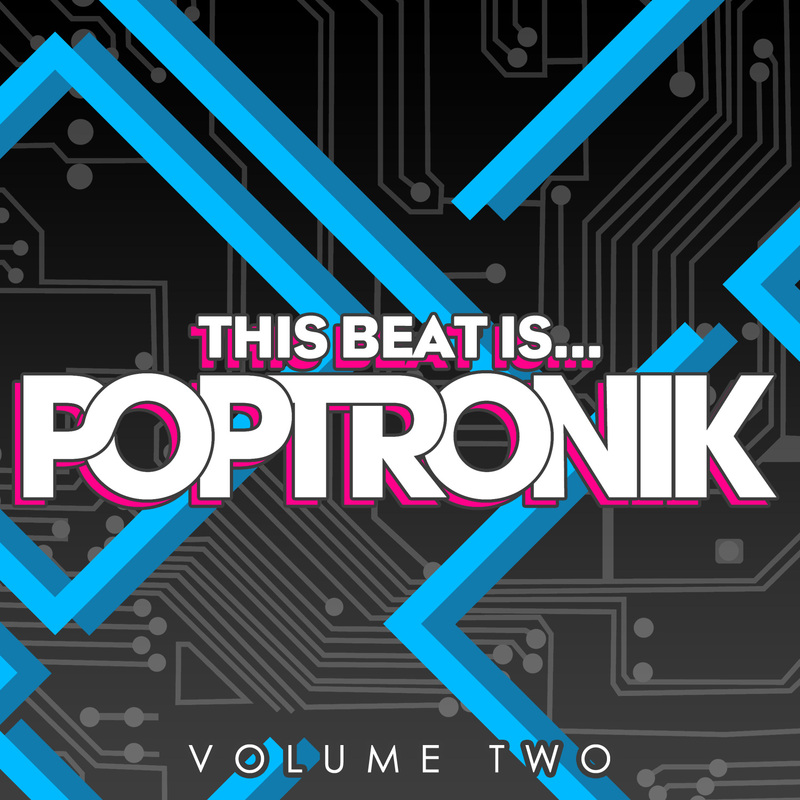 You can buy This Beat Is Poptronik Volume One through iTunes, Amazon, Beatport, and other digital stores starting Monday.